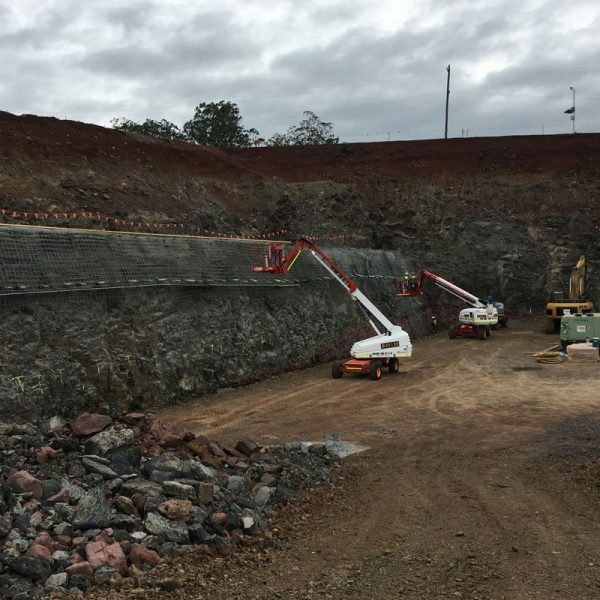 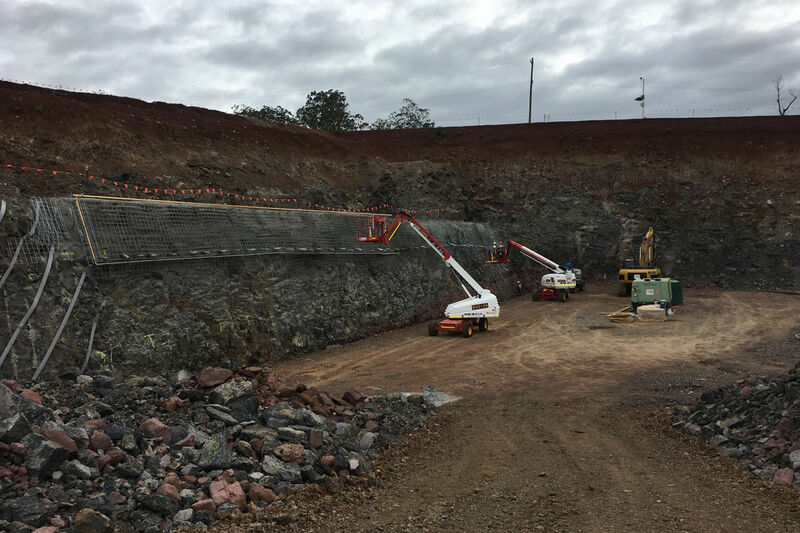 Shotcrete is the application of concrete where high pressure air is introduced to propel concrete under force and compact the concrete to the surface being applied. 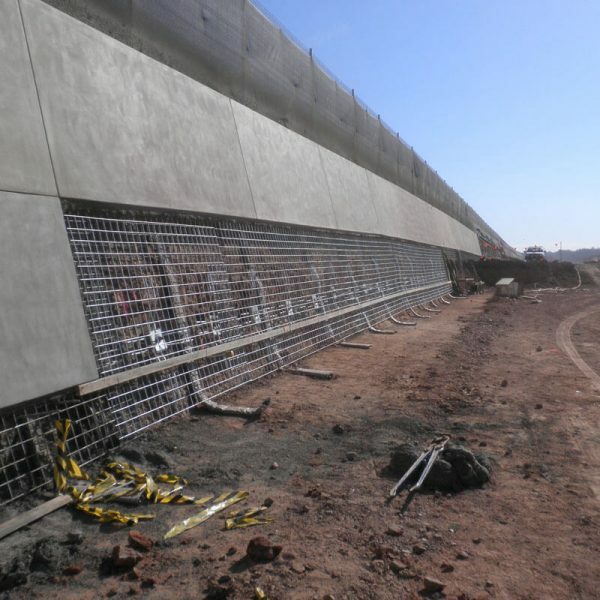 The application is freeform and is ideal where vertical, inclined and inverted surfaces require structural restraint. 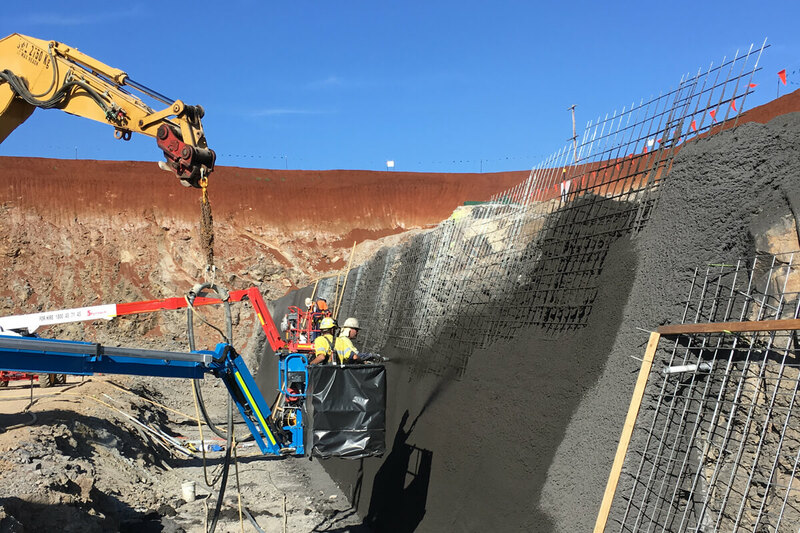 The shotcrete is applied gradually in layers to avoid sloughing and when complete cured to prevent evaporation of the freshly placed concrete. 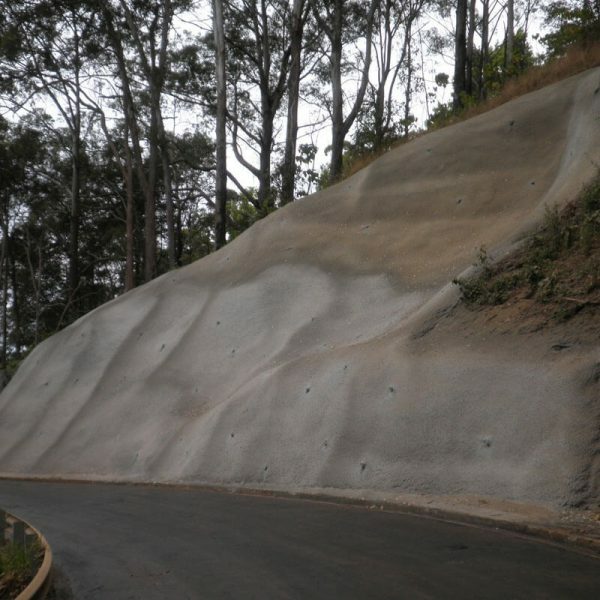 Shotcrete is most commonly placed where reinforcement has been fixed to the surface to offer structural integrity as well as providing a bonding medium during application. 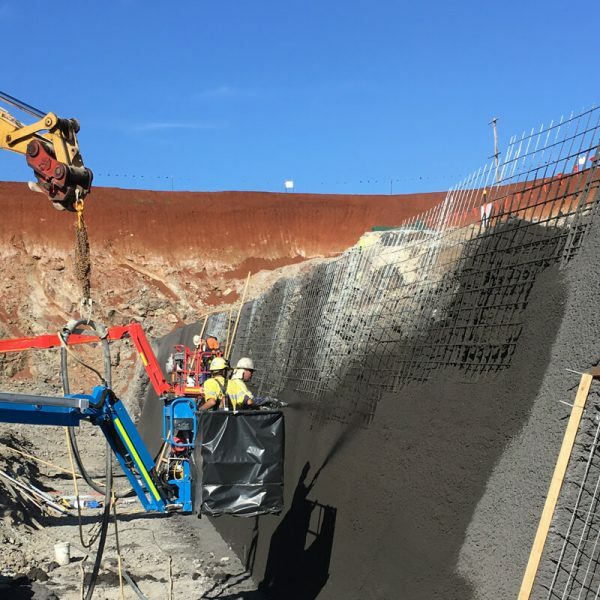 As an alternative shotcrete can also be mixed with steel or synthetic fibres which can be applied directly to the surface without reinforcing. 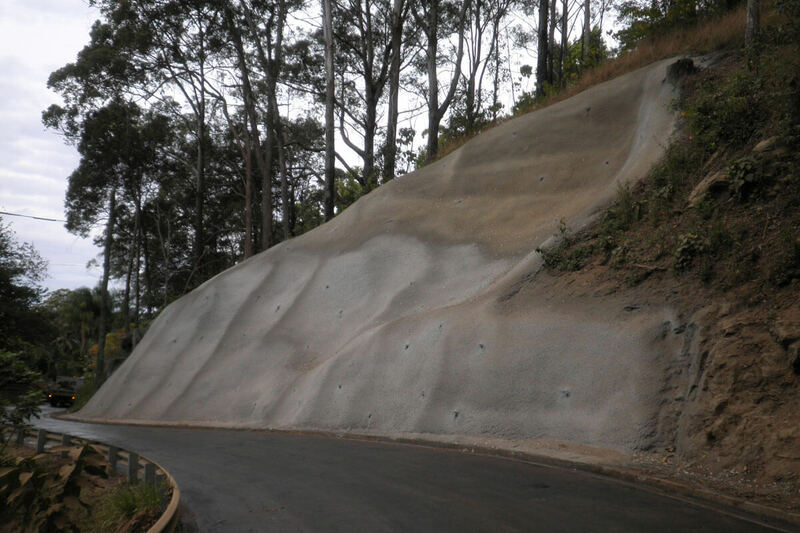 Nozzle finish, straight from the gun which is usually rough in texture and irregular in surface profile. 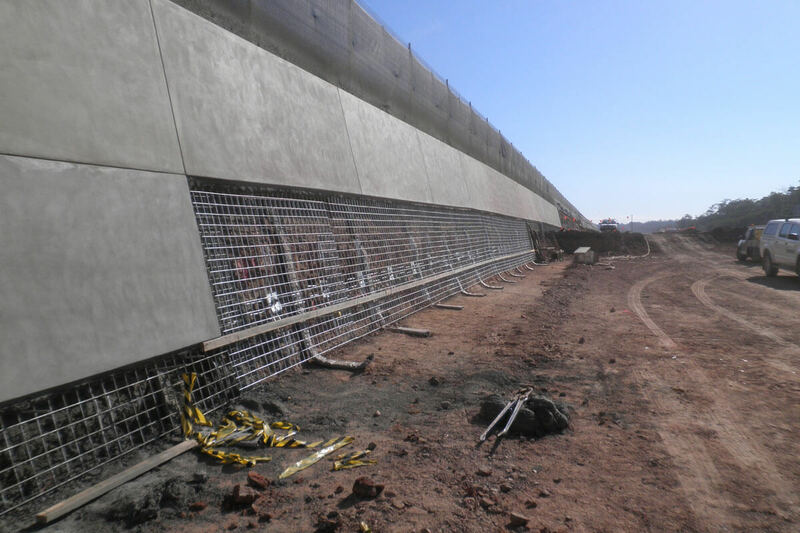 Screeded to provide a uniform face and finished with either wood float, broom or sponge.